Can Lake Dredge Help Toledo’s Riverfront Shine? 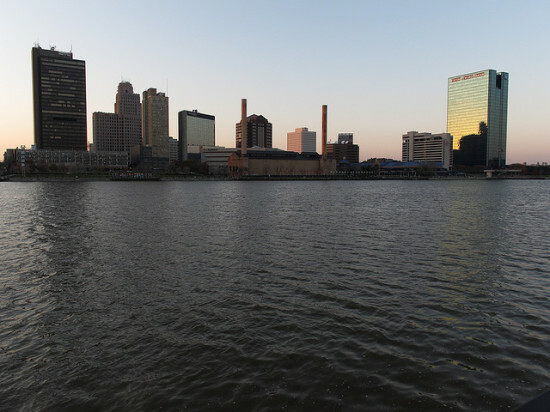 The city of Toledo is currently reconsidering a series of highly visible landscapes along its river waterfront. These sites are either undergoing construction due to the installation of large stormwater mitigation infrastructure or were small dredge storage facilities that have reached design capacity … The competition reaches out to designers and planners of all ages and abilities and calls for ideas that re-envision the role of the riverfront in Toledo and how this new role can embrace the realities of dredging while enhancing the overall quality of public space within the city. Five sites along the Maumee, totaling more than 170 acres, are available for development. Competition entrants are also asked to design a Dredge Research Site for future research projects exploring the uses of dredge material. About that material—it will be treated and trucked into the sites for landscaping, but the competition details warn its high silt content worsens its drainage characteristics and bearing capacity. 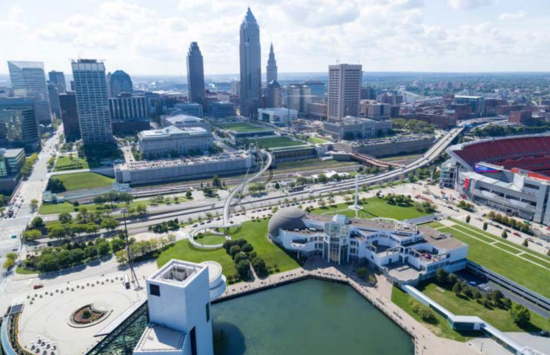 Landscape Architecture Magazine has a Q&A with Burkholder about the competition and its implications for development across the Great Lakes region. You can learn more about the North Coast Design Competition at northcoastdesigncompetition.com.